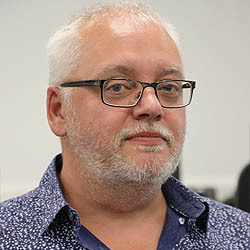 Phil entered the film industry working for the MEDIA Programme’s development fund in the 1990s, latterly as Head of Fiction. From 2000-2012 Phil was full time screenwriter, developing over 20 feature length scripts including produced feature films, Thunderpants (Pathé, 2002) and I Want Candy (Ealing Studios 2007), 5 episodes of the BBC’s popular children’s TV series The Queen’s Nose, documentaries and web films. Phil has co-written a number of scripts with director Peter Hewitt (Bill and Ted’s Bogus Journey, The Borrowers, Garfield) for production companies in Europe and the US. Phil is also an experienced script editor for film and TV. Phil is currently Course Leader for BA(Hons) Screenwriting and Producing degree and MA Writing for Screen and Stage programme at Regent’s University, London. The London Screenwriters' Festival is the antidote to writer’s loneliness: I met a load of awesome people I have coerced into being my writer mates!